An attic is one such place in the home that accommodates all the nitti-gritties, which are excess or are required at a later point. If you are one of them who are lucky enough to have this extra space, then it is important for you to know what to store and what not to. Although attic seems like a perfect storage area, not everything should be stored there. This is mainly because the temperature of this place keeps fluctuating. Therefore, storing deal-with-care materials can prove to be dangerous. Well, there is certainly no doubt about the fact that by making effective use of the attic space, you can reduce the clutter to great extent. Your attic is generally overlooked when it comes to storing some of the delicate items. Every attic is different and will contain certain structures. 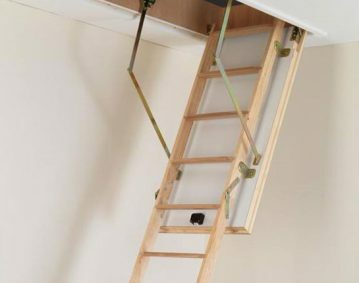 Based on these you can make your attic a reliable storage area. While there is no alternative to good planning , when it comes to making the most of the available attic space. 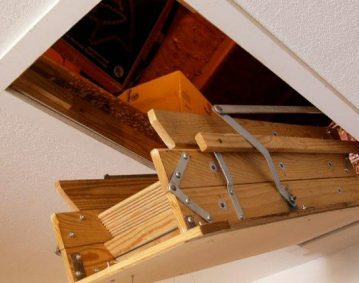 Proper planning along with a little bit of creativity will help you in storing those difficult-to-handle items safely in your attic. 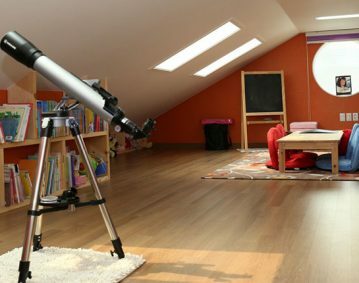 Here are a few creative ideas that will help you in making the most out of your attic. Your attic is the perfect place to store those plastic containers, which are found in the hardware shops. This is because the chances of these items being damaged or eaten up the pests is relatively less. After all, no one would want to come back to soaked up cardboard boxes, due to a roof leak or eaten up by a pest. Therefore, the items have to be carefully packed in tough plastic bags and then be placed in strong plastic tubs. These can then be sealed by keeping them in containers with airtight lids. This will ensure all that you leave in the attic will remain in the same condition as you left them when you go back to them. Even a little water is more than enough to create molds. By doing this, you do not have to wake up worried to find everything soaked up due to last night’s downpour. These make great organizing tools. Placing shelves in your attic will help you in keeping your things more organized. However, only hard and solid items, which cannot be damaged by weather, critters or pests should be stored on these shelves. Delicate home decors or other items in the attic might cause them to crack or expand due to non-ideal climatic conditions in this part. Thereby, making them less ideal for being used for decorative purposes. The attic is that place of a home, which is generally witnesses wild and sudden temperature changes. Extreme cold, heat and humidity, everything takes place up there. For this reason, some items just can not be stored in the attic. Some of these include products like VCR tapes, as they tend to melt, wooden furniture as well as candles. Sudden changes in the climate of the attic may cause the stored wood to expand, contract or even split. Apart from shelves and wooden furniture guitars should also never be stored in the attic. Storing them there might make the necks warp, making tuning impossible. These tips along with some creativity will help you in achieving an organized attic as well as a clutter-free home.